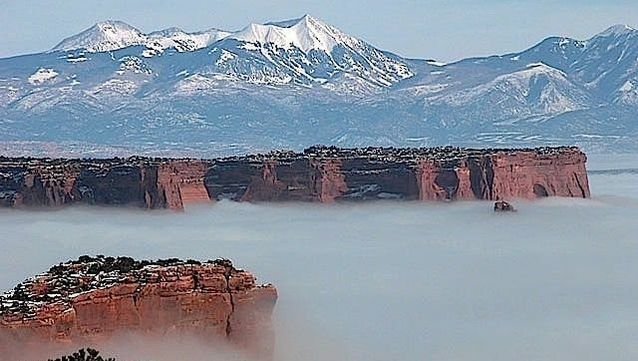 Staying at the Moab Valley Inn makes it easy to experience the wonders and seemingly limitless things to do in southeastern Utah. The area’s legendary rock formations and rivers have built Moab’s reputation as one of the best hiking, mountain biking, climbing and white water rafting destinations in the world. Perfectly located on Main Street, our hotel is only minutes away from Arches National Park, the Colorado River, Dead Horse Point State Park and Canyonlands National Park. ​​We’re also convenient to Moab’s vibrant restaurant district, and visitors staying with us enjoy an easy stroll to downtown Moab’s seasonal events, music festivals and outdoor competitions. Utah’s best 4x4 Jeep trails are just a short drive from the hotel, beckoning you to strap in for the off-road, 4-wheeling adventure of a lifetime. ​Moab is your centralized location for sightseeing, hiking, river rafting, rock climbing, mountain biking, 4-wheeling in the desert, art museums and shopping. Find the activity and adventure that is right for you and your family. Home to the largest collection of natural sandstone arches on the planet, this nearly 77,000-acre state park features a breathtaking landscape dotted with 2,000 arches featuring massive fins, immense, delicately balanced rocks and towering pinnacles and spires. 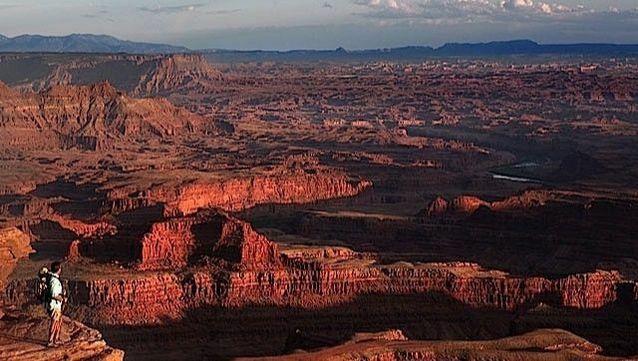 Utah’s largest national park boggles the mind with its rich diversity of land formations. In addition to the Island in the Sky area, which offers pullouts with spectacular views along a paved drive, there are hiking trails and four-wheel-drive roads that lead into backcountry areas for day or overnight trips. Only 32 miles from Moab, the view from Dead Horse Point is one of the most photographed scenic views in the world. Explore thousands of square miles of ruggedly spectacular canyon country on three bike loops, ten miles of pet-friendly hiking trails, and more. There is also a visitors’ center with facilities for the disabled, an information desk, exhibits, rest rooms, water, publications and souvenirs. Moab’s desert landscapes and red rock buttes inspire artists from all walks of life. You’ll find everything from painting, photography and sculpture to urban murals, live music and community art gardens. Don’t miss the footbridge over the Colorado River, which overlooks an area showcasing sculptures made by local artists. 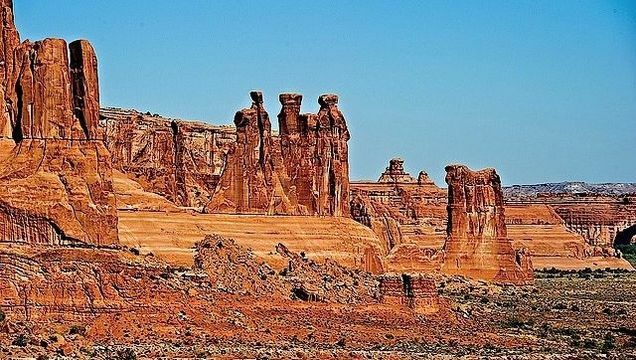 Did you know that the Moab area is one of the most fossil rich regions in the United States? Paleontologists scouring its rock formations have found the remains of a gigantic Brontosaurus, a Stegosaurus and an Allosaurus from the Triassic period of the Mesozoic Era. What will you find? Moab’s awe-inspiring landscapes have served as the backdrop for movies ranging from the John Wayne classic Stagecoach to more recent hits like Thelma & Louise, 127 Hours and Transformers: Age of Extinction. As a result of this, and with the help of the Monument Valley Film Commission, the Moab area has a community of experienced film crew members and an impressive production infrastructure capable of accommodating both large and small film projects. Whether you love dinosaurs, movies, history, or geology, Moab has the perfect museum for you. Located amidst some of the most stunning landscapes in Utah, Paleosafari Moab Giants transports you back through time into the prehistoric world, when dinosaurs roamed the land. The Museum of Moab has fascinating exhibits on Moab’s history, from prehistoric era and the Ute Indians to the arrival of the Spanish missionaries and present day. Learn about Moab’s cinematic history at the Film Museum at Red Cliffs Ranch, where you’ll find exhibits on local movie sets, actors and actresses, and more. All around Moab, Indian rock art in the form of petroglyphs (art that is carved into the rock surface) and pictographs (paintings or drawings on the rock surface) is on display. Get directions to a diverse range of nearby rock art sites. 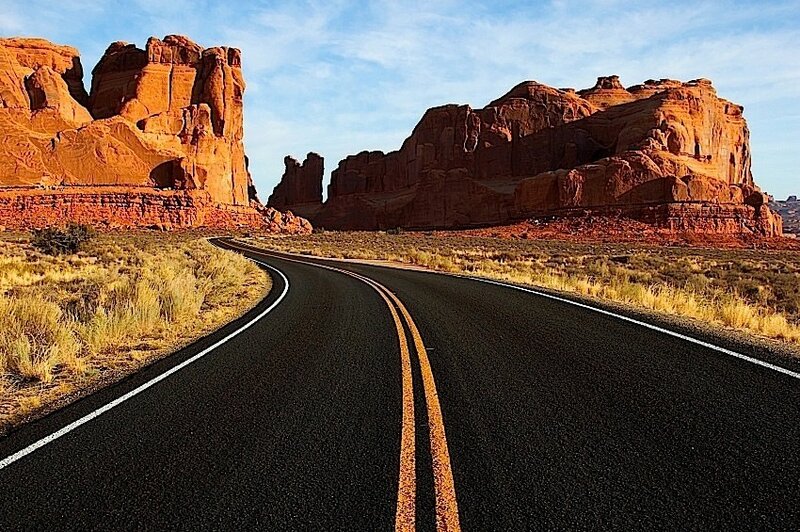 Upper Colorado River Scenic Byway, Potash-Lower Colorado River Scenic Byway and Dead Horse Point Mesa Scenic Byway offer a relaxing way to enjoy a drive and take in some of the most awe-inspiring scenery in the country. 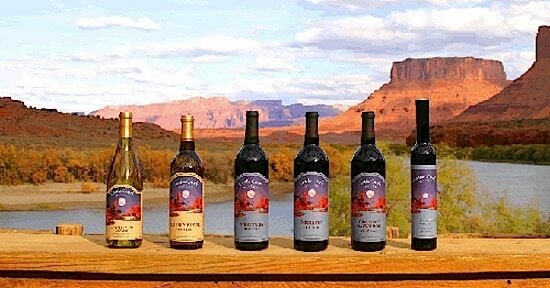 Would you be surprised to learn that Moab has an intimate but thriving winery scene? Swirl, sip and savor the day away with tours and tastings at Castle Creek Winery and Spanish Valley Vineyards & Winery. 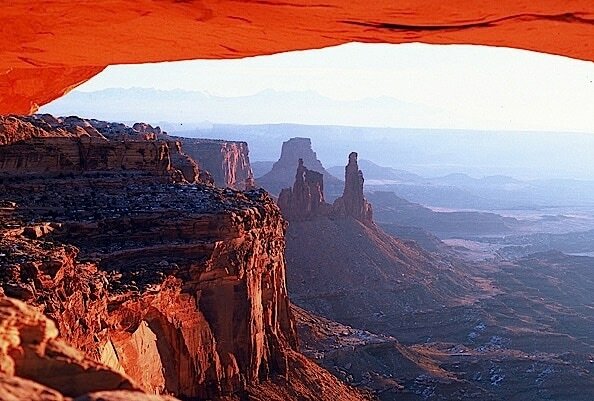 With so much to see in the Moab region, why not cover as much ground as you can? A mere one-hour plane ride will allow you to view thousands of miles of otherwise inaccessible canyon country. In terms of sheer adrenaline spiking adventure, you’d be hard-pressed to beat rocketing high over the desert on a zipline at anywhere from 300 to 1,500 feet up. You can also take an exciting 4WD ride on a backcountry trail and cross the 100-foot suspension bridge spanning between two red rock fins.